How much is Olivia Culpo Worth? Olivia Culpo Net Worth: Olivia Culpo is an American beauty pageant titleholder who has a net worth of $3 million dollars. Olivia Culpo was born in Cranston, Rhode Island in May 1992. She was a member of the National Honor Society and graduated with high honors from St. Mary Academy – Bay View. Culpo started studying the cello in second grade and played with many orchestras. She has played in Carnegie Hall, Boston Symphony Hall, and in England. Olivia won her first pageant and became Miss Rhode Island USA 2012. From there she competed in the Miss USA 2012 competition representing Rhode Island. She also won that title and was given a homecoming celebration and a key to the city of Cranston. In December 2012 she represented the USA at the Miss Universe 2012 pageant. Culpo won and became Miss Universe. She was just the eighth woman from the USA to win the title and the first since 1997. She also became the first Miss Rhode Island to win the title. During her reign she traveled the world and made many appearances. 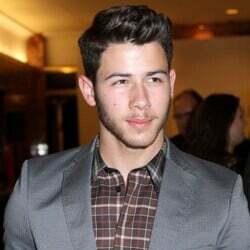 Olivia met singer Nick Jonas at the 2013 Miss USA competition and the two started dating. Olivia was also romantically linked to NFL player Danny Amendola for a period of time. They broke up in 2018.